(c) 2007 All astro photo images are copyrighted. They may not be used or reproduced without explicit written permission from the authors. The image shows a 120% crop of the M11, which can be found here. 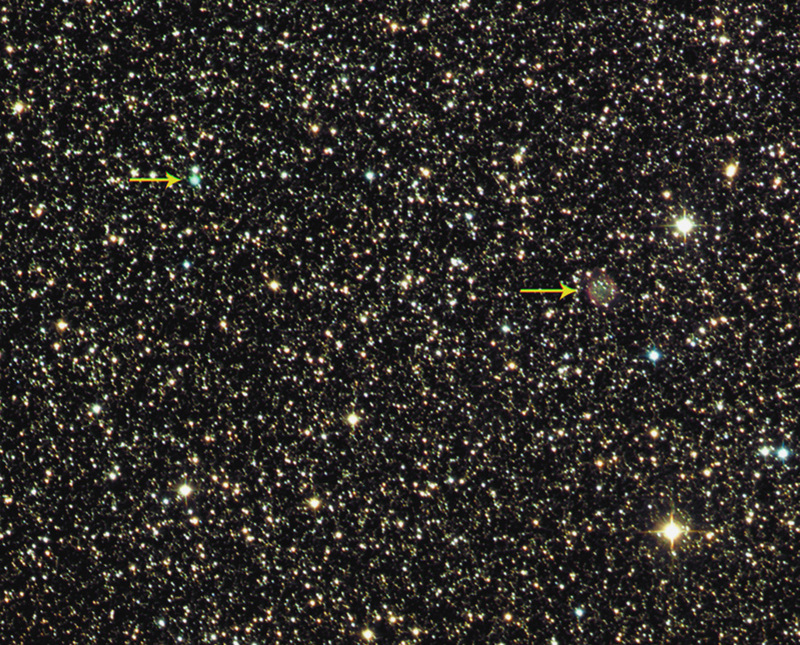 Abell 49 is the PN to the right. Das Bild zeigt eine Ausschnittvergrößerung (120%) von M11, siehe hier. Abell 49 ist der PN rechts.